The worldwide hit that's so far spawned two movies and a Cher album, Mamma Mia! tells the story of a mother, a daughter, three possible dads and one unforgettable trip down the aisle. Young bride-to-be Sophie wants nothing more than to have her father at her wedding. But there's a small problem: She has no idea which of mom's three former boyfriends might be the guy. So Sophie invites them all to the festivities at her mother's Greek isle taverna, and mayhem ensues. The show's tale of enduring love and friendship features all the beloved hit songs by ABBA, including "Dancing Queen," "S.O.S.," "The Winner Takes It All," "Take a Chance on Me" and, of course, the title tune. 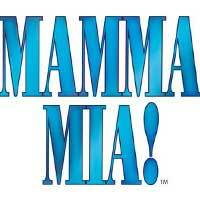 Experience all the fun and excitement of Mamma Mia! at the Cupcake Theater in NoHo. "...Get out your disco boots and spandex as Cupcake Theater gives L.A. audiences their very first chance to enjoy the international megasmash Mamma Mia! up close and personal."